Japan has confirmed a Japan Air Self Defence Force (JASDF) F-35A Lightning II crashed into the Pacific Ocean during a training flight on Tuesday. Wreckage found in the Pacific Ocean on Wednesday has been identified as that of the missing aircraft, the JASDF told local media. However, the pilot has not been found. The Japan Times said the crashed F-35A was one of four aircraft that took off from Misawa Air Base on Tuesday evening. The JASDF lost contact with the aircraft at 1927 local time, when the aircraft was about 135km east of the air base. The JASDF said the missing aircraft was 79-8705 (AX-05), the first F-35 to be assembled at the FACO in Nagoya by Mitsubishi in 2017. This would be the first loss of any F-35 and pilot since the type’s first flight in 2006. Two F-35s, a USAF F-35A and a USMC F-35B have experienced engine fires and have been written off, but both aircraft were able to safely recover without serious injury to their pilots. The incident comes less than two weeks after Japan established its first F-35 operating unit, the 302nd Squadron, an element of its 3rd Air Wing at Misawa. There were 13 F-35As based at Misawa Air Base. All F-35A flights out of Misawa Air Base have been suspended. Defense Minister Takeshi Iwaya said on Wednesday that an investigative committee at the Air Staff Office will look into the cause of the accident to prevent a recurrence, NHK reported. 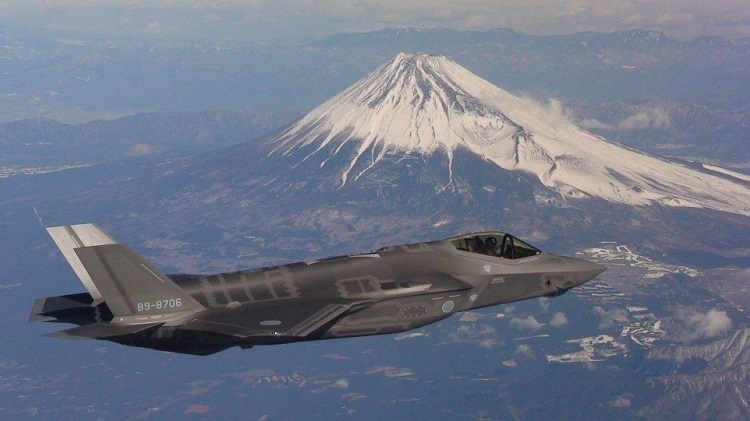 Japan has a total of 105 F-35As and 42 F-35Bs on order. And looks like the race is now on to find wreckage before adversaries can get a look at it! This aircraft was built by Mitsubishi under the licence agreement, did Mitsubishi stray from the plans? My respects to the family of the deceased pilot.